Denmark is renowned for many things: Lego, vikings, gorgeous Copenhagen and the Little Mermaid. But Denmark is also home to ten World Heritage sites, including three in Greenland. 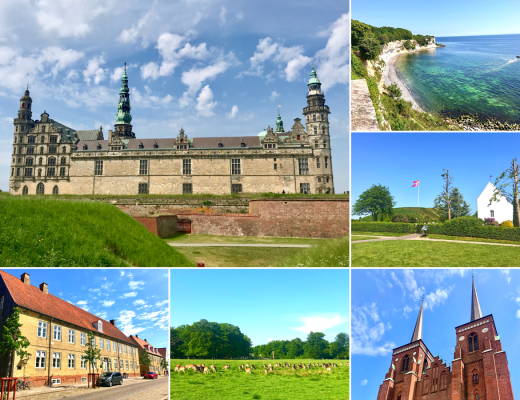 There’s an interesting mix of nature, plus recent and ancient history, so read on for our guide to all the Denmark World Heritage sites! Christiansfeld is a small planned church community located on the mainland of Denmark. Founded by Protestants from Moravia in today’s Czech Republic, they fled here to escape prosecution from Moravia’s Catholic Habsburg rulers. The community is arranged around a central square with the church, and adjoined by large buildings for single women and widows, another building for single men, and then several large buildings for families as well. We spent a lovely sunny morning walking around the town, enjoying the ambience and the beautiful buildings. Jelling is sometimes referred to as the baptismal place of Denmark, and that’s true in many ways. There are three components to this site, and they all relate to a period of immense change in Danish history. The burial mounds were likely built by King Gorm the Old, the last non-Christian king of Denmark, in the 10th century. He also erected one of the runic stones, while the other was erected by his son, King Harald Bluetooth. The latter stone brags of Harald’s accomplishments such as conquering Norway and bringing Christianity to the area. Finally, the church is one of the oldest still remaining in Denmark, and dates from the 12th century. This was a fascinating spot, and the nearby museum is really well done. It’s really exciting to see such tangible remains of Danish history from this period, particularly the runic stones! Kronborg dates from the 14th century, and sits right on the shore of the Baltic Sea. 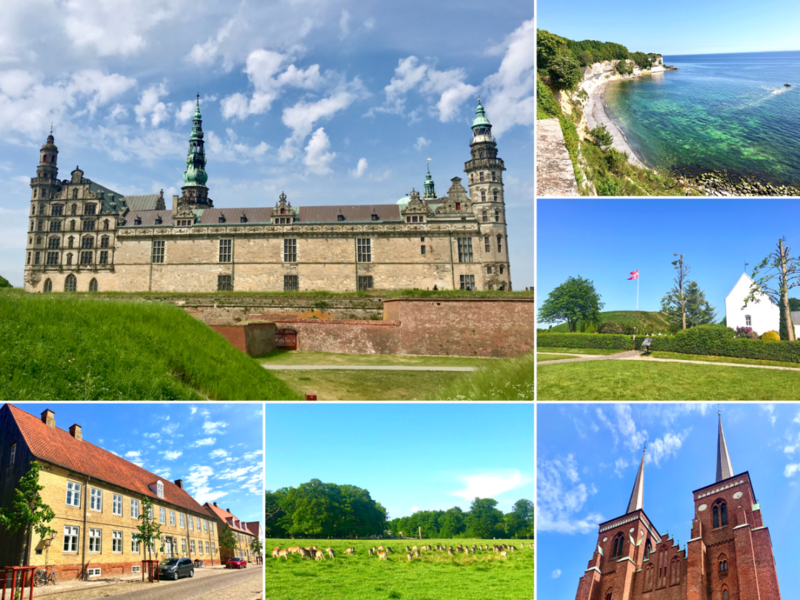 Sweden is only a couple of kilometres away, just across the water, and Kronborg dates from a time when the Danish King also controlled much of Sweden. 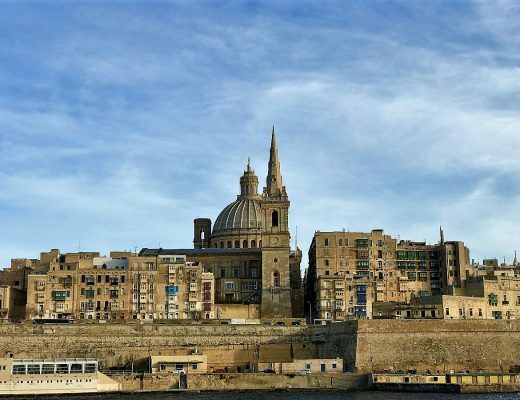 It was built as a tollbooth to extract duties and taxes from shipping passing through the strait, and was later fortified heavily for military use. But it has an even greater claim to fame – Hamlet! Yes, this castle is believed to be the setting for Shakespeare’s play Hamlet, and the central courtyard has seen many performances over the years. There’s quite a lot to see here, and we spent most of the day wandering around and checking things out. The interior is a little plain in places (most of the decoration and furniture is long gone), but it’s still fascinating to see. And it’s an easy train ride from Copenhagen. Roskilde lies about 30 minutes to the west of Copenhagen, and is actually the former capital of Denmark. The cathedral here was constructed in the 13th century, and is one of the earliest brick Gothic churches in Europe. But what’s really fascinating is the inside: Roskilde is the burial place for Danish monarchs, and almost all of them are buried here. Each monarch took the liberty of adding a separate chapel to house their remains. These chapels were built in the popular styles of the era, so they stand as a beautiful architectural record. We can see baroque, Gothic, neo-classical, modernist, and even a post-modern sarcophagus ready for the reigning Queen Margrethe II. Once again, this is a great spot for a day trip out of Copenhagen. Roskilde the town is quite pretty, and has a lot of small shops and cafes to keep you interested. And of course the cathedral spires are visible from almost everywhere in town, reminding you of who was really in charge! 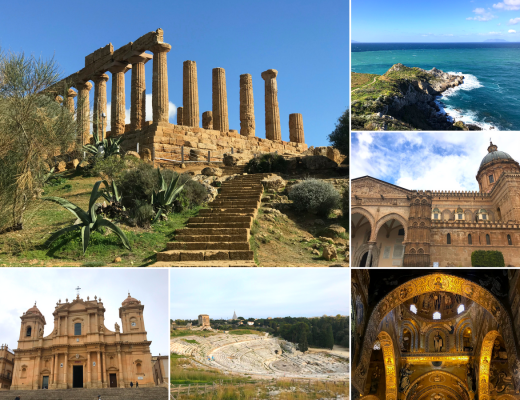 This is a rarer type of site – a scientific World Heritage site! It’s a line of cliffs about 15km long, mostly chalk and bright white in colour. But the most important feature of the cliffs is a thin black line, about 10cm high, running evenly across the length of the cliff. It was here that geologists in the 20th century realised that the black layer was rich in iridium, a metal that’s rare on Earth but common in meteorites. Dating the line to around 65 million years ago, scientists realised that this clear evidence of a meteorite impact coincided with a mass extinction event. In short, they’d just worked out what killed the dinosaurs! Obviously this is an important spot in the scientific history of our planet, but I have to admit – there’s not a whole lot to see here. Even the iridium layer is quite hard to spot until you know exactly what you’re looking for! But the beach is quite nice, and seems to be a popular spot for Danes to visit, relax and swim. One of the strangest sites I think we’ve visited so far! It consists of two hunting grounds where Danish kings and their courts would come to hunt deer and other prey. But it was a special type of hunting – “par force” hunting. Here, specially trained hunters and their dogs would flush out prey and chase it through the park, funnelling it towards the centre where it would eventually collapse exhausted in front of the King, who could deal the killing blow. It was more about hunting as a spectacle for dignitaries, since the meat was ruined by the long chase. As I mention in the video, this isn’t one of my top World Heritage sites. But we did enjoy walking through the parklands, seeing herds of deer, and learning more about the Danish royalty. It’s also very easy to access from Copenhagen – one of the main train lines to the north runs directly through the Jaegersborg park! And finally, we come to the only natural World Heritage site on the mainland of Denmark. This site is shared jointly with Germany and the Netherlands, and it covers a huge area of tidal mud flats. It doesn’t sound that enticing, but it’s actually quite interesting and with multiple types of terrain included. As well as mud flats, you’ll find sand dunes, marshes, shoals, and a bit of grassland as well. The Sea is also a very important habitat for lots of different birds, crustaceans, fish and mammals too. I wasn’t quite sure what to expect here, but we quite enjoyed exploring the islands of Morvo and Romo, just off the western coast of mainland Denmark. It’s also very quite and well off the tourist trail, with only a few local tourists around. We even chatted with some locals who were amazed that we’d travelled all the way from Australia!! And finally, we come to the last three of Denmark’s world heritage sites, all located in Greenland. 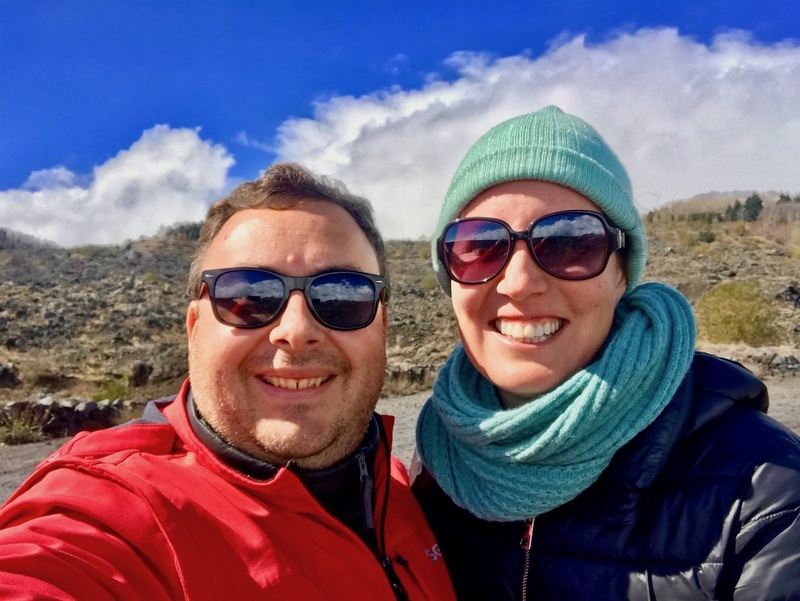 Unfortunately we haven’t made it yet to Greenland, it’s more of a bucket list item than a regular travel stop. 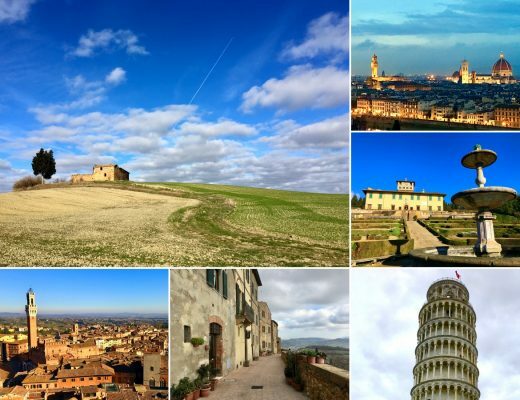 But we’ll definitely make it there one day, since these world heritage sites look fascinating! Aasivissuit is a cultural landscape that shows traces of human habitation over thousands of years. Ilulissat Icefjord is one of the glaciers where Greenland’s ice cap reaches the sea. 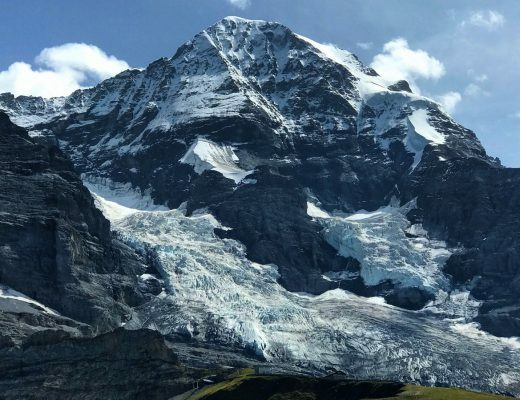 Apparently it’s one of the fastest moving glaciers in the world, and produces more ice calving than anywhere outside of Antarctica. And finally, Kujataa is a farming landscape that dates from the 10th century, the earliest representation of farming around the Arctic. Overall, there’s a great mix of World Heritage sites in Denmark, spread across the Copenhagen islands, the mainland, and Greenland as well. We had a fantastic couple of weeks exploring Denmark’s World Heritage sites, and will definitely be back to see Greenland!